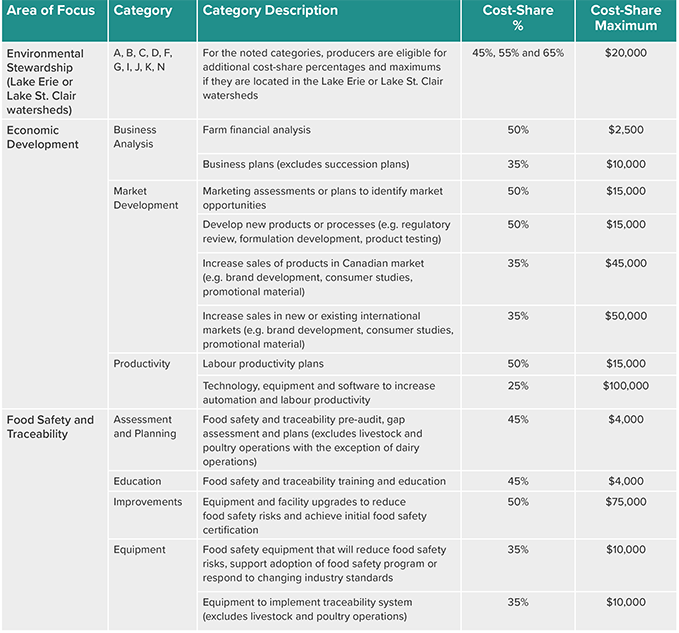 There are possible funding opportunities for business improvements available to your farm under the Canadian Agricultural Partnership (CAP).CAP is a five-year program designed to increase economic development, enhance environmental stewardship and improve assurance systems. 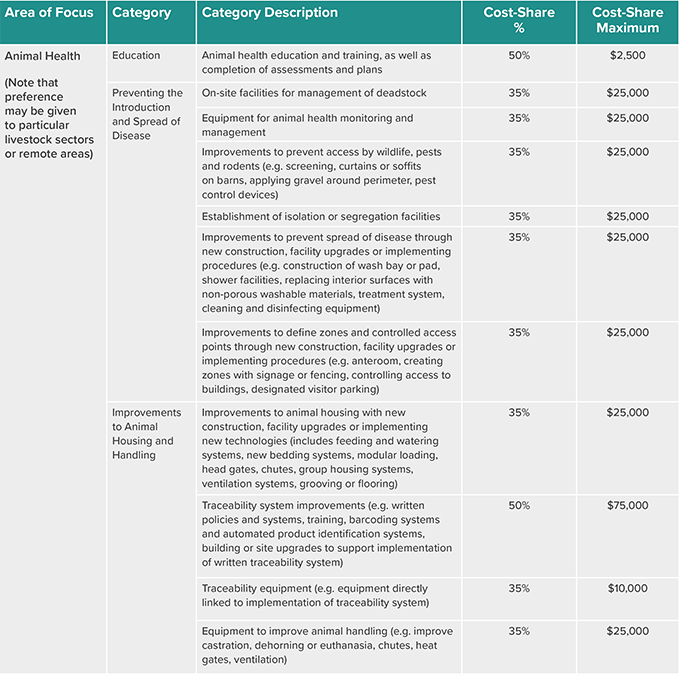 The program is available to agricultural producers, processors and organizations. The Ontario Soil and Crop Improvement Association will deliver cost-share funding to producers in Ontario.Applications are accepted during intake windows, which are scheduled between April 3, 2018 and March 31, 2023. The first application window is from April 3, 2018 to May 8, 2018. Not all project categories will be open in every application intake window. A farm business may have two applications under consideration at any one time, and a separate application must be submitted for each project. Applications will be assessed on merit. 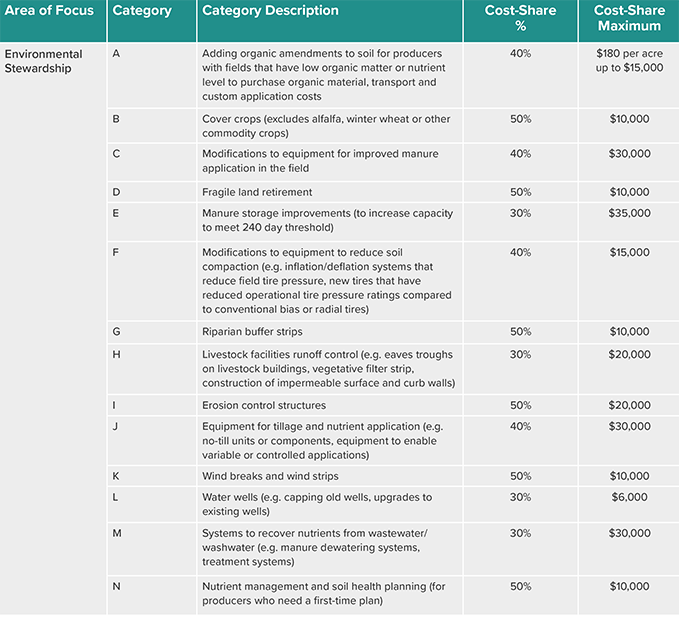 The program has no limit on cost-share projects that a farm business can complete. 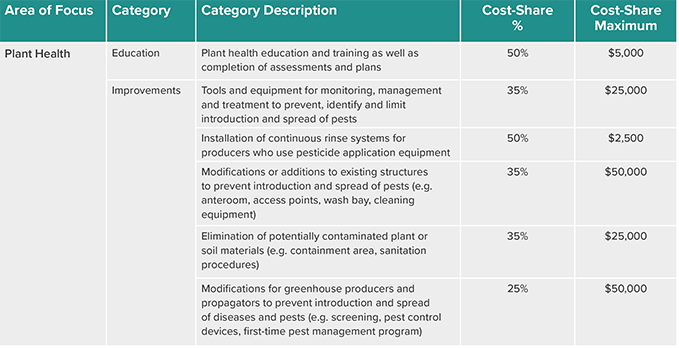 Projects cannot be started before the date of approval provided by the Ontario Soil and Crop Improvement Association. Applications for funding can be prepared using the methods listed below. BDO can assist you with the preparing of applications. We recommend that clients take advantage of these cost-share opportunities. BDO is happy to provide advisory services to help you complete your applications or prepare plans for your farm operation.